Twitter has transformed the way information is reported on and engaged with around the world. Twitter has contributed to the democratization of news, meaning that every single person has the potential to tell the world what's happening in their village, their town, their city and their community - and every single person has the potential to see this information and participate in the global conversation. While this transformation and levelling of the playing field has been overwhelmingly positive, it has presented some unique challenges around information quality. Attempts to deliberately undermine the public conversation by spreading misinformation at scale, is something we care deeply about at Twitter. And while we are working hard to expand our team and resources to help tackle this issue, it is important that everyone builds their capacity in order to protect and enhance the public conversation. Twitter is proud to have a longstanding partnership with UNESCO, which includes media literacy. 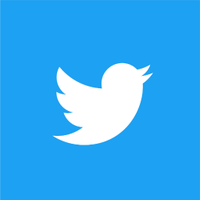 Later this year, we will publish a co-branded educational resource, Teaching and Learning with Twitter, which includes guidance from UNESCO on media and information literacy best practices. What is the source of the information or story? Can you confirm, using reverse image search, that the images are authentic? Is there are a fact checking site that labels the information or story as less than true? What is your emotional reaction to the information or story? Is the information or story designed for easy sharing? Does the information or story cite a variety of sources? Does it appear in other news outlets? Does the information or story have the date on it? Are there a lot of pop-ups or banner ads? What is the headline or main message? What are the past headlines this website has used? How did you encounter this story or information? Does this story or information link to other quality sources? Twitter can also be used to help verify the accuracy of information. As an open and real time platform, Twitter let’s you see what’s happening from every point of view. It's important to follow a range of different accounts on Twitter, including trusted news outlets like Economic Times (@economictimes), CNBC TV18 (@CNBCTV18Live), NDTV (@ndtv), Dainik Jagran (@JagranNews), Hindustan Times (@hTTweets) among others. You can also look for more information using search. Check to see who has been Tweeting about this story. Have any major news outlets or well known journalists Tweeted about it? Has someone who is involved in the story Tweeted about it? Even if there are a large number of Tweets about a story, it doesn't necessarily mean that it's true - it's important to look at who is Tweeting about it. Friends don't let friends believe misinformation. If you see questionable information or satirical sites being shared as real news, or you see your friends share a piece of information that is blatantly untrue, tell them. You can do so in a lighthearted way or privately - but the most important thing is to let them know. You can also use the #ThinkBeforeSharing or #ThinkBeforeClicking hashtags which will trigger an emoji that Twitter developed in partnership with UNESCO. If you're not sure about something, don’t share it! Sharing low quality or untrustworthy information only serves to spread this content further, and gives it more visibility to more people. We are fortunate that Twitter’s open and real-time nature is a powerful antidote to the spreading of all types of false information. Journalists, experts and engaged citizens Tweet side-by-side correcting and challenging public discourse in seconds. However, while Twitter’s open and real-time environment is a powerful antidote to the abusive spreading of false information, we do not rely on user interaction alone. Our focus is on product, policy and enforcement innovations to address the behaviours which distort and detract from the public conversation on Twitter. For example, updating and expanding our Rules to better reflect how we identify fake accounts, and the types of inauthentic activity violate our guidelines; and continuing to aggressively address spam and other forms of platform manipulation. In our increasingly polarized public sphere, developing critical media skills is more important than ever, which is why we’re also sponsoring and contributing to, media literacy initiatives in many countries around the world, including in Asia Pacific over the last 12 months. Recognizing that 75% of Twitter users are aged between 13 and 35 years old, we have committed our teams to engaging young people in a series of digital citizenship workshops, safety roundtables and panel discussions. To date, we have successfully reached out to 100,000 youth across the Asia Pacific region. In India, we launched the #EduTweet initiative in partnership with the School Leaders Network where we engaged 865 school leader, educators and influencers from 2,700 schools across India on issues such as media literacy and the digital classroom. We also partnered with Responsible Netism (@Rnetism) on their Cyber Psychology Conference which engaged schools across Maharashtra on online safety for children. No single actor, organization or institution has the answer to this complex problem and it’s going to take a collaborative effort from everybody to identify the best approach and possible solutions. At Twitter, we recognise that we have an important role and responsibility and will continue to play our part to address the challenge of misinformation online.